Schleiffarth Law Firm helps and works with small to mid-sized businesses in a wide range of business landscapes and situations. Our unique combination of legal experience and business understanding allows us to reach exceptional results for our business clients. Regardless of the size of a company, we are committed to providing exceptional service and responsiveness. We take our clients’ businesses very seriously. Our firm understands both the business and legal components of company operation and ownership. We work closely with clients to address issues such as business expansion, the addition of a partner, the elimination of a partner, LLC ownership redemption, stock purchases and sales and major company changes. We also counsel businesses relating to business termination matters. We represent businesses in transactions including real estate acquisitions, service/business relationships company acquisitions, lending and financing matters and purchase or sale transactions. We counsel new businesses regarding entity selection, steps of business formation and required documentation. We prepare LLC operating agreements, corporate bylaws, partnership agreements and joint venture agreements. Additionally, we advise clients (and prepare requisite documents) regarding matters including buy-sell agreements, tax matters and business registration requirements. We prepare, negotiate and review all types of business contracts and agreements. We work with our clients to not only explain the meaning of a contract but to negotiate and make needed revisions or amendments to an agreement. We prepare and review purchase or sale contracts, service agreements, vendor agreements, operating agreements, real estate lease agreements, equipment lease agreements, employment contracts, bank and lending documents, partnership or joint venture agreements and all other types of business contracts. Our courtroom experience and litigation expertise are invaluable to businesses. 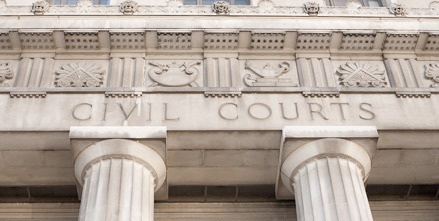 We represent clients in all phases of litigation, ranging from initial dispute resolution, to filing a lawsuit to trial. We understand both the time and financial constraints of small to mid-sized businesses and work closely with each client to develop a litigation strategy that meets their budget and their expectations. All business owners know of the difficulty brought about by business disputes and payment disputes. We work hard with our clients to understand their needs and goals and then vigorously pursue their interests at a reasonable cost. In matters ranging from contract disputes to vendor or customer payment disputes, we are committed to protecting the rights and interests of our clients and reaching the best possible outcome. We work with our clients to both prepare for and avoid employment disputes, as well as address these problems should they arise. We prepare employment agreements, confidentiality agreements and non-compete agreements and also work hard to enforce the terms of these agreements if necessary. Schleiffarth Law Firm LLC The choice of a lawyer is an important decision and should not be based solely upon advertisements.